From trash to treasure; it may be a hip eco-conscious idea, but can garbage be chic? Milan-based Alienina does a damn good job of proving it that thesis. Founded in 2008 by designer Eliana Venier, Alienina (Italian for “alien life on Earth”) comprises eye-catching necklaces from industrial scraps. Its Spring/Summer 2011 collection features rubber tubing, fabric cord, and sun shades—all salvaged in one form or another. The goal? To “inspire people to discover that items can have an extra life and new functions,” says Venier. 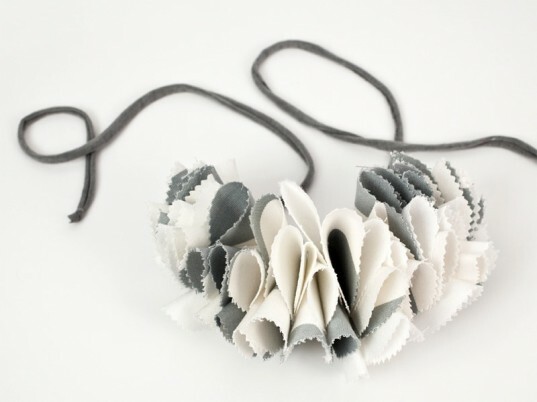 The jewelry comprises rubber tubing, fabric cord, and sun shades—all salvaged in one form or another. Venier’s designs are so swank that super-chic stores like Anthropologie have taken notice, stocking her necklaces on their virtual and real-life shelves. Thick yet delicate, industrial yet feminine, these necklaces presents a new dimension of fashion. “I create something unique for people who are bored of massive fashion and who are always looking for new inspirations,” she says. Unique and eco-chic, Alienina offers the best of both (fashion) worlds. From trash to treasure; it may be a hip eco-conscious idea, but can garbage be chic? Milan-based Alienina does a damn good job of proving it that thesis. 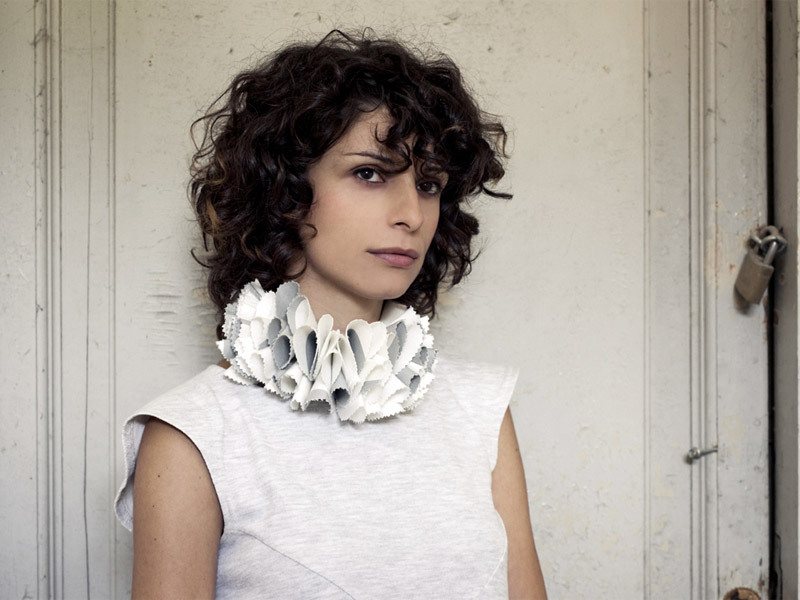 Founded in 2008 by designer Eliana Venier, Alienina (Italian for "alien life on Earth") comprises eye-catching necklaces from industrial scraps. Its Spring/Summer 2011 collection features rubber tubing, fabric cord, and sun shades�all salvaged in one form or another. The goal? To "inspire people to discover that items can have an extra life and new functions," says Venier.